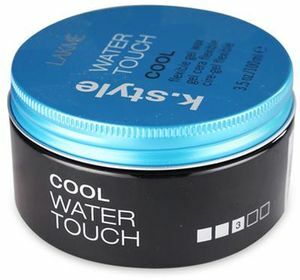 Flexible gel wax. Water-based formula. Shine. Separates and defines with flexible control. Shape memory. Weightless style. Natural wet look finish. Washes out easily without leaving residue. Peach and orange fragrance.﻿ Grape Seed™ Antioxidant Complex: includes grape antioxidants (keratin protector) and vitamin E antioxidants (ceramide protector). UV Protection. Thermal Protection. Color Safe.